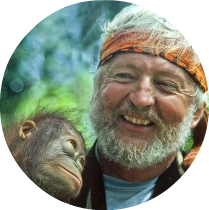 In Borneo, on both the the Malaysian and Indonesian sides, the rain forests are disappearing, being replaced by palm oil plantations. Sad, but true. 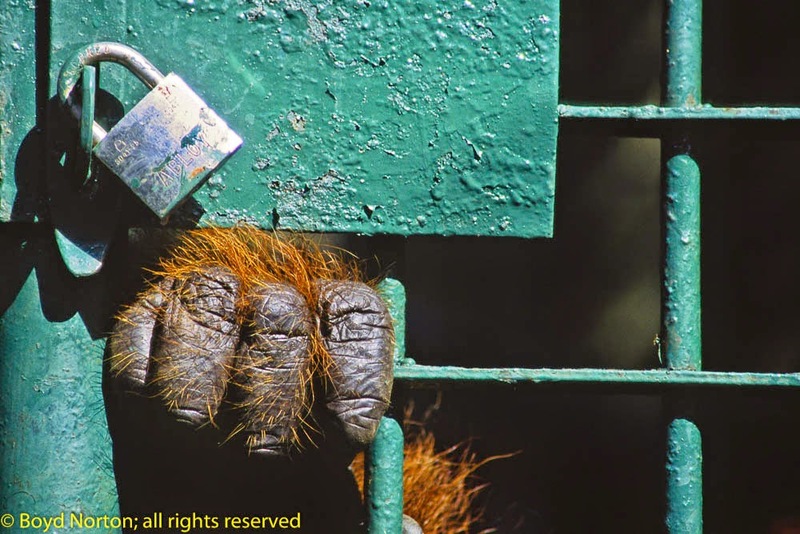 It’s quite possible that within a decade the only orangutans will be in confinement like this poor adult male in a so-called orangutan “sanctuary” in Sarawak, Borneo. His only “crime” was being raised by humans so he never learned to survive in the wild. He’ll spend the rest of his life in the slammer.